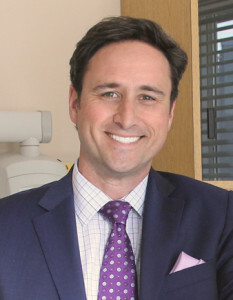 Dr. Brian Meulener graduated with a Bachelor of Fine Arts from the University of Delaware in 2000. He received a Master of Fine Arts from the School of Visual Arts in New York in 2004. Brian worked as a professional artist and graphic designer before embarking on a new career path towards dentistry. He received his DMD from Rutgers School of Dental Medicine (formerly UMDNJ). He was a member Gamma Pi Delta Honors Society in Prosthodontics and received the Prestige Award for Excellence in Restorative Dentistry. Brian lives in Little Silver with his wife, Kristin and his two daughters, Lily and Kate. Brian brings an exciting new perspective to our dental practice. Along with an artistic eye and a craftsman’s hands, he offers fresh energy and a bright future to Meulener Dental.